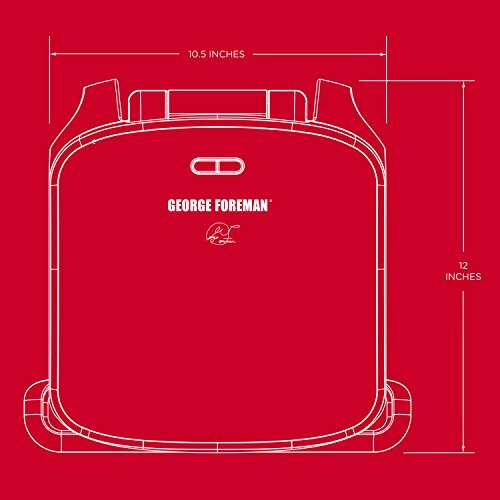 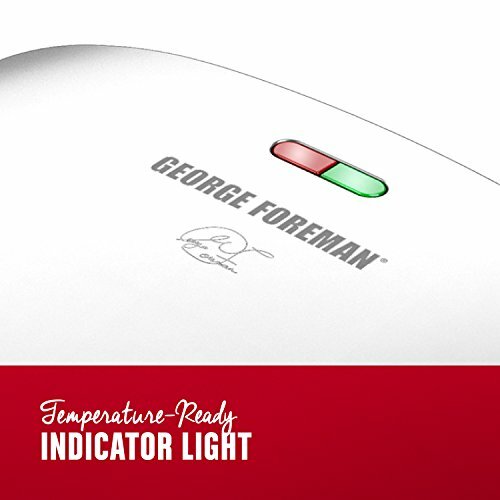 Details: Cook quick and tasty meals for the whole family with the George Foreman GR3060B Grill. 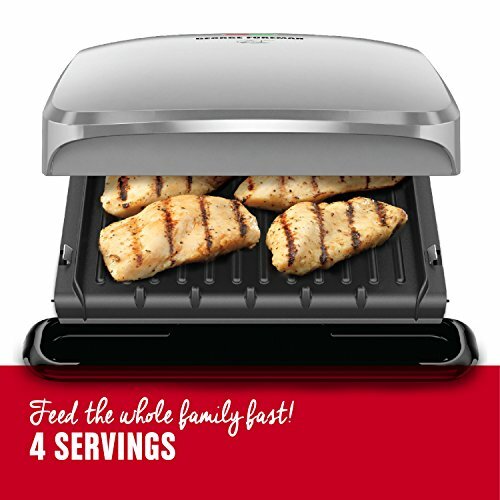 The 4-serving area of the grill is ideal for burgers and chicken for the whole family, or for a smaller meal complete with grilled vegetables. 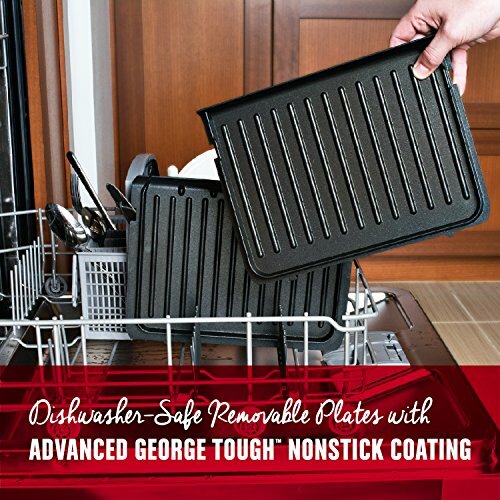 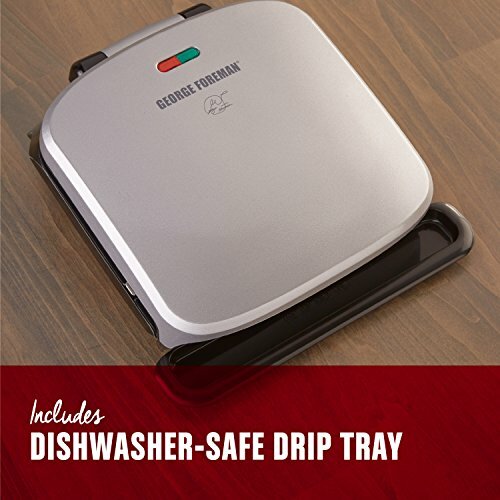 The improved George Tough non-stick coating is 2 times more durable than previous models, and removes the need for excess oil and butter. 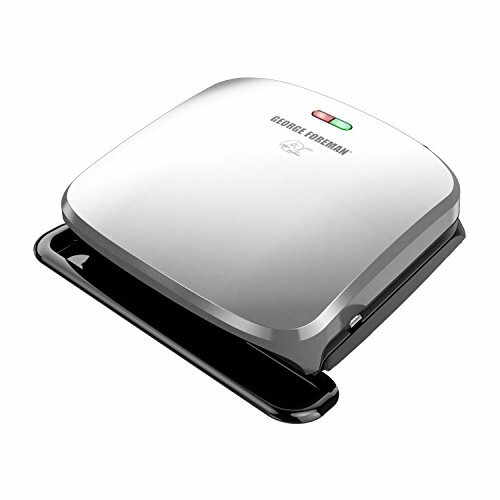 Plus, removable grill plates are dishwasher-safe, making cleanup that much easier. 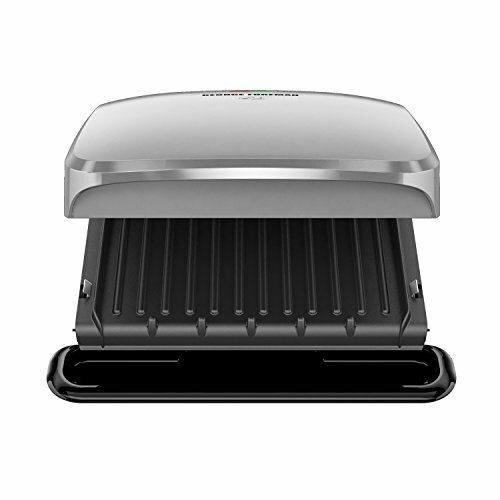 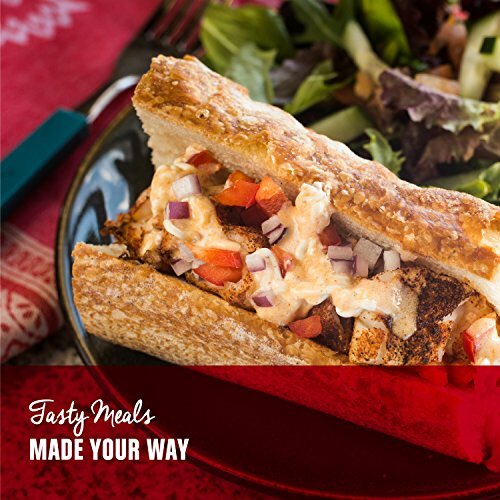 With 35% faster heat-up times than previous models, you can go from plugging in the grill to enjoying a tasty meal in just 10 minutes!